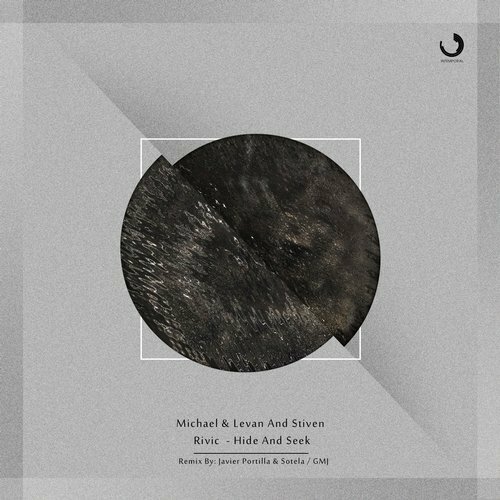 The latest release on Intemporal Music finds the label revisiting Michael & Levan and Stiven Rivic’s ‘Hide & Seek’ for a brand new set of remixes. Originally released in February of this year as part of the label’s ‘Timeless’ compilation it found the much loved trio showcasing one of their career best productions. Now for Intemporal’s eighth release the label invites GMJ and Javier Portilla & Sotela to reinvent the track for the winter season ahead. It’s been a tremendous year for Australian artist GMJ. He seems to be on a perpetual creative high and it carries on here. Fresh off a release on Cid Inc’s Replug Records he takes Michael & Levan and Stiven Rivic’s ‘Hide & Seek’ into deep, atmospheric territory. Dubbed out tones, clattering metallics and a steady percussive wave complement the punchy, chunky groove. Angelic pads open the piece up tremendously as the main break unfolds and with that it’s emotive power heightens. A third act sees the low end narrative take over with a wealth of subterranean clusters coming together for a groovy conclusion. Brilliant remix from GMJ. The second and final interpretation of ‘Hide & Seek’ is provided by Javier Portilla & Sotela who are making their first appearance on the label. The Costa Rican duo and Moonchild label bosses choose their projects wisely and each year end up with two or three absolute gems to add to their discography. Their interpretation of ‘Hide & Seek’ rounds out an exceptional 2016 with a driving yet funky approach that comes from a more house oriented sensibility. It’s boundless energy carries nicely through the first act before a strong tonal theme, piano stabs and lush vocal edits take things into melodic territory for an exhilarating conclusion. A brilliant revamp from Javier and Sotela which rounds out another excellent release on Uvo’s Intemporal Music. Don’t miss it.